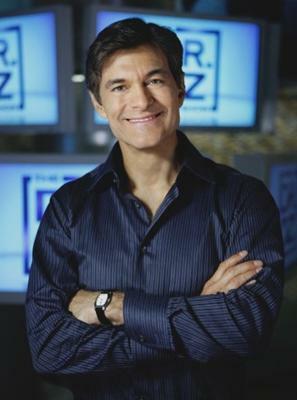 Dr. Oz Tells How to Get Happy and Crush Negativity! What if I told you you could be happier in just 28 days? That's what Dr. Oz put forth in a recent episode of his tv show, and he delivered on that promise. This blog is quite different from other articles. It's a transcription I made while watching the show so that I could share it with you. I put a lot of time into this, and I am very grateful that my t.v. let's me pause and rewind because I am by no means a stenographer! Dr. Oz offers a simple 4 step plan and we will break it down. First, let's "watch" the show! What if I told you you could be happier in just 28 days? That's the challenge I'm issuing to my next guest. You probably know someone just like her: a Debbie-downer whose negativity brings everyone around them down. But that's about to change in just 4 weeks. Some people say every cloud has a silver lining, but I can't see it. I guess you could say I'm a very critical person. I have negative things to say about everything I come across. I just don't understand why people are so positive. Maybe I'm so used to being a Debbie down I don't know how to be anything else. Dr. Oz: So why do you think you tend to be so negative? Mikayla: It's just the way I am. Some people see the cup half full. I see it half empty. Oz: How has it held you back? The negativity you carry around with you. Mikayla: It's stopped me from having the relationships I want with friends, family, work. It's just not working; it's holding me back. Oz: So I was curious; I actually wanted to find out how happy you were and how negative you were. There's actually a scale for this called the Oxford happiness questionnaire. And we gave it to you, and there's the scale behind you. And the average is about 4 and a half, and you were about 3.2 out of a total of 6. Oz: You're not happy. And you're not depressed; I want to emphasize that. We're not talking about someone who is wallowing in despair. You just find negative things. [...] I feel passionately that there are a lot of people like you who, like you said, are perceiving the glass half empty even when there's lot of other opportunities. And what were going to do is help you improve over 28 days where you are. And joining us to help do this is research psychologist and author of The How of Happiness , Sonja Lyubomirsky. We all have someone like Mikayla in our life and it's not depression. It's some other facet of our personality that drags us down to negativity. Explain that, why are they so negative? Sonja Lyubomirsky: Well there are some people that feel they see the world the way it really is. And everyone else around them is walking around in rose colored glasses. They would rather be right than be happy. And my response to that is that there is no right way to see the world. The world is both a terrible place, there's suffering and injustice; but it's also a wonderful place, there's beauty heroism and kindness and it's what you choose to focus on that determines your happiness level. Oz: So if you're negative or positive, talk us through some of the consequences. What are the differences? Lyubomirsky: Well the consequences of being negative and unhappy can be really harmful to your relationship and to your work. It turns out that people who are happier and more positive are more creative, are more productive, they make more money. They are healthier. In fact a study I just found out about today was looking at photographs of major baseball players and found that those who showed sincere, genuine smiles - who were more positive and happier - would live 7 years longer. Oz: Now you have a 28 day plan that anybody can take part in. We're going to start today. Well explain it crisply and clearly in 4 steps. Step number 1 is a daily diary. Lyubomirsky: That's right. I do this with my students; I teach a class on happiness. It turns out that a lot of people don't know what actually makes them happy. What situations or what individuals make them feel engaged, happy energized or motivated? So several times a day you write down what are you doing, who are you with, am I happy, am I absorbed, am I energized. And then you do more of those things that make you happy. Oz: Mikayla, can I ask you a question? Do you know what makes you happy? Mikayla: My family, going on walks with my son, staying home with my husband. That makes me happy. Oz: Because this is what I want to do. That questionnaire is up there. It's very straightforward. I think it's a brilliant idea. I want to understand, and I think you need to understand what other things besides your lovely son and your husband give you happiness. Because there have got to be other things that give you happiness. It could be a piece of warm bread. It could be someone smiling at you as you walk outside the house. Those are the things we need to identify here. Okay, step 2 is to figure out how we come off to other people. Lyubomirsky: Yea, this is an idea that originally was proposed by Darwin. When you act happy - when you show the outward expression of happiness -that's going to intensify the feeling. There was a great study done on women. They got botox injections for their frown lines because they were frowning so much. And what happenened was they got a lot happier. People respond to you more positively. You feel more attractive, more confident, happier. And so just acting happier and more positive can actually lead you to feel more positive and happier. Oz: So essentially you're going to fake it 'til you make it. It works in other places too! Week 3 has to do with combating negative thoughts that occur during social interactions. And I know this occurs to people who are negative. So step 3 is really all about creating a diversion so you don't focus on that. Lyubomirsky: You mentioned seeing the glass as half empty. These are sort of negative thoughts – a lot of us especially women tend to over think. We're dwelling on our feelings and our problems. We do that alone. We do that with other people. And so the idea is that we need to find strategies that help us divert our attention from the negative thoughts onto something that's neutral or positive. Oz: Mikayla, do you ruminate a lot? Oz: What do you ruminate over? Mikayla: For example, if I'm a good mother. I keep asking my husband, am I a good mother? I don't see myself as being a good mother. I try. Oz: So when you hear those thoughts we want you to create a diversion. This is one little tip. This is a rubber band I want you to wear around your wrist. When you start to ruminate I want you to snap it. When reading your book (The How of Happiness ) there's another good idea to count the number of times people says "um" or some other ridiculous but tedious-on-the-surface, but sort of funny way of keeping track of what's going on in a conversation so you don't go in your own mind and do destructive things to yourself. Week 4 is about a random act of kindness. You're going to do 1 a day. Why is that important? Lyubomirsky: Well research from my own laboratory has shown that people who practice acts of kindness on a regular basis become happier. And they can be really little things like emailing someone to thank them, saying to someone they look nice, feeding someone's parking meter. And those acts of kindness gives us a burst of positive emotion and those positive emotions can serve as antidotes to negative emotions or negative thoughts. And so they are very effective. They are very concrete. Oz: Can we all do it Mikayla? Mikayla: Yes, I want to do it. I want to become positive. Oz: You have 28 days to do it. We're going to follow your story. I am fascinated and I want everyone at home to realize you can do it as well. Mikayla, I want to thank you for coming forward with a story that I know is very common in this country. Sonja Lyubomirsky, I appreciate all your insights and I love the book. To summarize the 4 week plan, the focus is on one unique area each week that helps improve happiness and beat negativity. If you've made it this far, it's clear you want to improve your happiness or tone down the negativity in your life. Like Dr. Oz said, it's something that is so common in our world today. He puts his faith in this simple 4 week plan, and I brought it here to share with you because I, too, think it can help us all. And, if you're looking to take another step, Dr. Oz thought Sonja Lyubomirsky's book, The How of Happiness , was a great, helpful read. And now I pose to you: Can you do it? Will you make the effort to become happier and overcome negativity? If you gained something from this article then I highly encourage you to subscribe to this blog. It's entirely spam-free and there are no games to play to subscribe or unsubscribe. It just keeps you up to date, motivated, and inspired! I'm actually a very positive person...but haven't always been. I went through a good portion of my life with the 'poor me' attitude...which led to lots of negative thinking. I have a very specific day that changed my entire outlook on life and my attitude! About 4 years ago...I was recently divorced, suddenly a single mom, income cut in half, bankrupt, living in a crappy little apartment in a crappy part of town, watching 'everyone' live the good life that I wanted SO bad...and for some reason felt I 'deserved'. I was always overwhelmed and stressed to my max and trying to live up to the "Jones'". Then one winter day, I was driving home from work. And I saw a woman, standing in about a foot of snow waiting for the bus. She didn't have on snow boots, it was still snowing and her jacket didn't look warm enough to be standing there in that kind of weather. And that's when it hit me! I was SO LUCKY and BLESSED! I had a job, a roof over our head that I didn't struggle to pay for even though it wasn't in the 'nice' part of town. I had a car, albeit small and not fancy, it was newer and I didn't have to wait for the bus on a snowy day! I had a warm jacket and food on my table...my daughter and I weren't living a fancy life but we had all our NEEDS met and a good portion of our (reasonable) wants! Suddenly I felt ashamed of myself! And my eyes were opened to how incredibly blessed we are! And I've never looked back! And I now help others instead of looking at myself as a 'charity case'. And doing for others has opened up a whole new enlightenment for me, that I'm trying pass on to my daughter! And today I always look for a positive even in a negative situation! And there ALWAYS is one! Dr. Oz always offers good sound advice and he offers it in a way that we can all understand. You'd be surprised how much the psyche plays in the accomplishment of any goal. Spam will be deleted, so please invest your time in something more meaningful! I personally read and reply to each comment. If you have a question, comment or request I sincerely encourage you to share. Thank you to my over 10,000 Twitter friends! Are You Sold on Your Self?